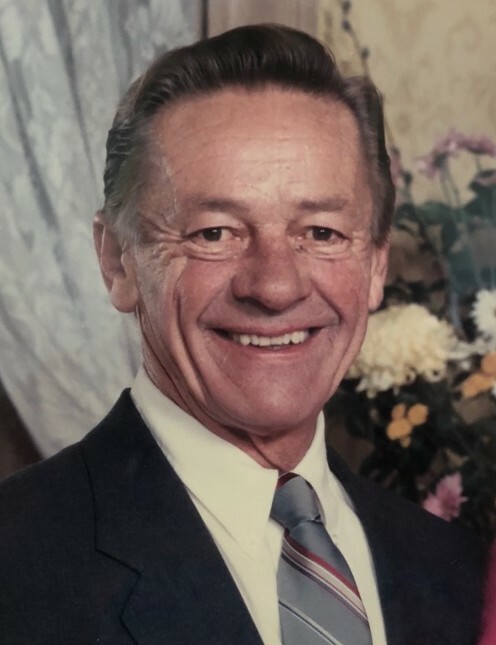 Earle Leo Kitchen, 90, of Portland, passed away August 12, 2018. Born in Aroostook County Maine on 4/06/1928 to Leo and Bertha Kitchen, Earle was the youngest of five. His family moved to Portland when he was 15 years old. He graduated Portland High School and was proud of the fact that he never lost a baseball game pitching for the Portland Bulldogs. He was drafted as a pitcher by the Philadelphia Phillies out of high school and he returned to Portland Maine two years later. He continued playing baseball in the Portland Twilight League for many years. Earle married Alice True in 1950 and they raised four children in the North Deering section of Portland. Earle and Alice spent their summers on Range Pond in Poland with family. Earle's working years were spent at Noyes Tire Company as a commercial sales representative. He enjoyed hunting, fishing and was a world champion candlepin bowler. Earle was inducted into the Maine Baseball Hall of Fame in 1982. He had big hands and a big heart that turned into an effortless athlete. Earle is survived by Alice, his wife of 68 years, and their four children: Earlene Martel (Bob) of York Maine, Steve Kitchen (Marty) of Mercer Maine, Judy Harmon (Mike) of Scarborough Maine and Corinne Dellatorre (Gary) of Scarborough Maine. Earle had eight grandchildren and twelve great grandchildren. The family would like to send a special thank you to Mercy Hospital and VNA nurses Pam, Beth and Lori. Visitation will be held from 5:00 – 7:00 PM on Thursday, August 16, 2018 at A.T. Hutchins Funeral Home, 660 Brighton Ave. Portland. A funeral service will be held at 10:00 AM on Friday, August 17, 2018 at Stevens Avenue Congregational Church, 790 Stevens Ave., Portland followed by burial at Brooklawn Memorial Park.